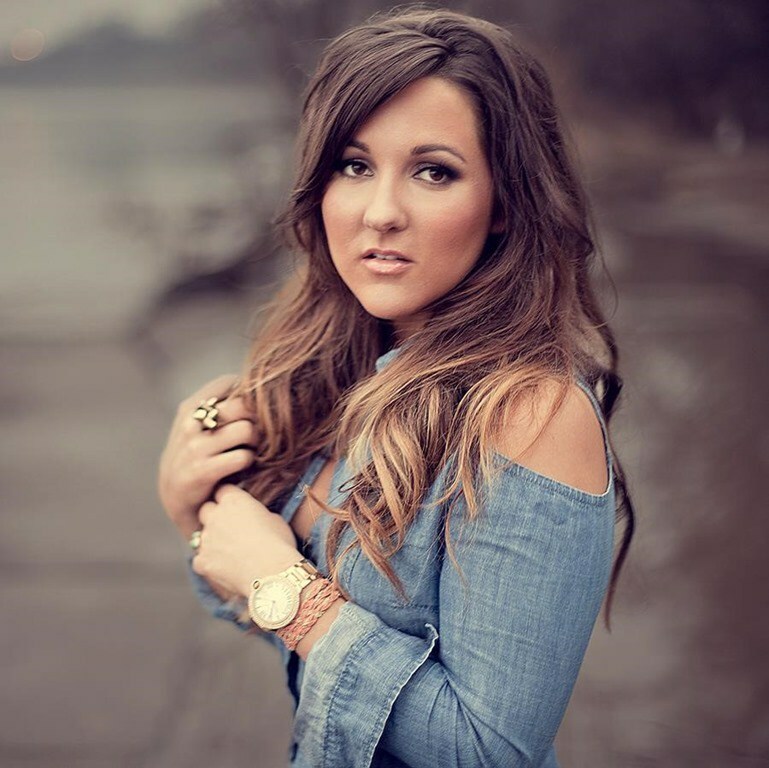 Country Recording Artist Brinn Black is a Nashville-based rising star who is pursuing the bold dare to dream of Country music superstardom; Brinn Black was born in Virginia. Brinn Black's unique entrepreneurship approach to achieving her goals has led the multi-talented singer-songwriter on a road to self discovery as well as sharing her inspiring story with the world. Brinn Black released her most vulnerable offering to date in that of the very personal "Daddy's Medicine". The multi-gifted Black has supported a pantheon of Country music's most marquee household names including: Darius Rucker, Justin Moore, Little Big Town, Montgomery Gentry, Gretchen Wilson and many more trailblazers in the Country music genre; Brinn Black officially cites her all-time musical influences as Jennifer Nettles, Patsy Cline and Kelly Clarkson. Black's appeal and wholehearted spirit highly resonates with audiences of all ages and backgrounds courtesy of the authenticity and stunning execution of her art and musical ability; Brinn Black is currently one of Country music's most promising new female acts. Q: "Daddy's Medicine" is now available and since its release the single has generated a high volume of very positive support and traction within the music industry. How much of a turning point has the release of "Daddy's Medicine" been for you personally Brinn as a recording artist? It has been so amazing. Personally, it has been really freeing. Even though being so vulnerable about such a touchy subject was really scary at first, it has been amazing to see how it has brought my fans and I closer together and how many incredible conversations have happened because of this song. I wouldn't have done it any differently. Q: It's been well-documented that some of your all-time biggest musical influences include Jennifer Nettles, Patsy Cline and of course Kelly Clarkson. What do you admire most about these incredible women? I love that all of them are women who have been unapologetically themselves. They say "this is me, take it or leave it". Q: Based in Nashville, Tennessee where thousands of very talented musicians relocate daily to pursue the dream of country music greatness, you've taken a highly unique journey in pursuing your dreams. With that being said, what have been the biggest hardships for you both professionally and personally in your journey? I think the biggest hardships have been trying to figure out how to balance both sides, while not losing yourself in the process. Over the past few years, I have gone through some terrible losses personally, which have been gut wrenchingly devastating but my career has kept me going. Whenever I get into a rut, or grief starts to take over, the dream kicks in and reminds me that I am still here for a reason, so I need to keep on keeping on. Q: Who has been the biggest source of inspiration in your career and life? My momma. Growing up, I watched her be Superwoman, and no matter what got her down, she has always found a way to make sure everyone around her felt loved and that she was working every single day to make a difference in this world. Q: You have been a very positive advocate in the community by partnering with inspirational programs and registered charitable causes such as: Christmas 4 Kids, Hands On Nashville, Columbia Shop-With-A-Cop, Big Brothers Big Sisters and much more. Can you talk about your uplifting community-related efforts in detail and ultimately how enriching philanthropy has been for you overall? If it wasn't for my community and family growing up ,I wouldn't be here in Nashville, living my dream . They poured into me like I was their own and supported me, without question. I just want other kids to feel that kind of love too, and I feel like I need to give back since I was given so much. Q: How was your overall experience serving as an official ambassador for LEAD Southeast, a public school in Nashville, Tennessee committed to prepping young artistic students for a four year college or university program? I absolutely loved it! It was incredible to see these kids grow into performers over the school year. There were kids who wouldn't even sing into the microphone at the beginning of the year who were singing solos at the final concert. They gave me so much hope and confidence and reminded me why I am on this crazy journey. Q: Having raised $50,000 in proceeds from a three-day charity festival benefiting St. Jude's Children's Hospital in Memphis, Tennessee what inspired you to get involved as a philanthropist? Growing up, we lived paycheck to paycheck and didn't have much left over at the end of the month, so if a medical bill, school expense or anything came along it was a really big deal. That being said, I can't imagine having a child with a potentially terminal illness and on top of that have to worry about how to keep food on the table. That's why raising donations are so important. Also, I selflessly love going in and playing for the kids because they are so tenacious and resilient and they make me smile so big. Q: Who do you cite as your favorite current Country music artists? As far as new country goes, right now, I have Lauren Alaina's album ("Road Less Traveled") on repeat. It's so good! I love Brett Eldredge and Dan and Shay. I could listen to them sing all day. Also, I love Kelsea Ballerini and how hard she is working for her fans and blazing a trail for all of us girls in country music. She is a gem! Q: What do you admire most about Nashville, Tennessee? The people. Everyone here is so nice and really would give you the shirt off of their backs. When they say "Bless Your Heart", they really mean it. Q: Before we leave Brinn, what words of wisdom do you have for women out there who are currently lacking direction in their lives and would like to find their way to succeed? I would tell them that they are beautiful, and perfectly made. That whatever makes their heart happy is where they should put their efforts. If they do that, everything will fall into place.